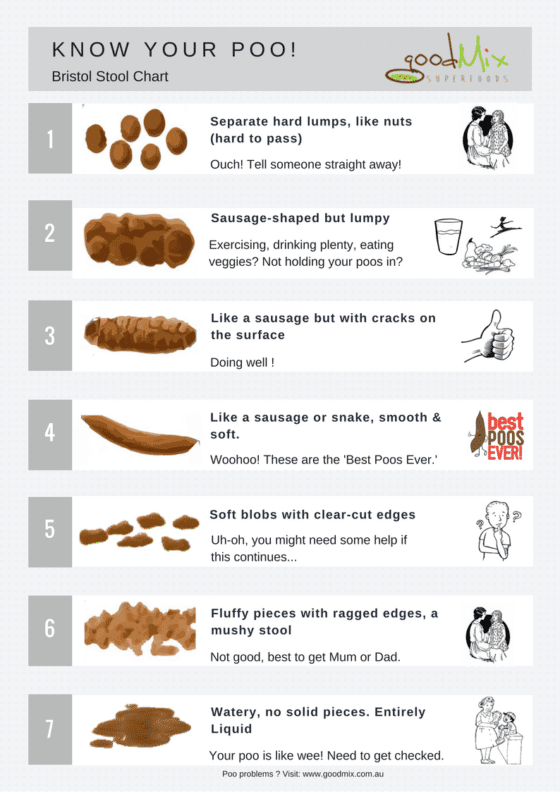 What is the Bristol Stool Chart? 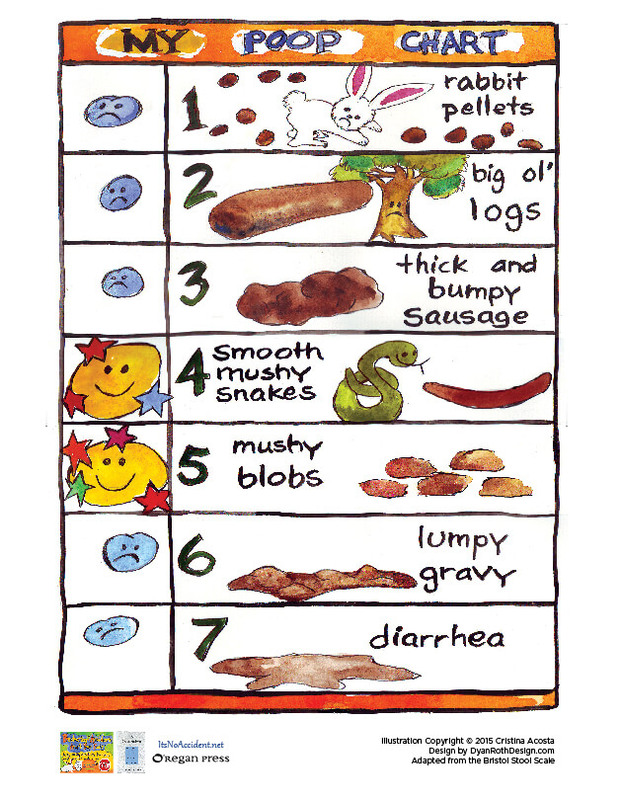 Dr. Ken Heaton, MD from The University of Bristol created The Bristol Stool Chart in 1997, through a study where they measured the transit time of their food from entrance to exit with radiopaque pellets, and had them keep a diary of their stool using this scale. 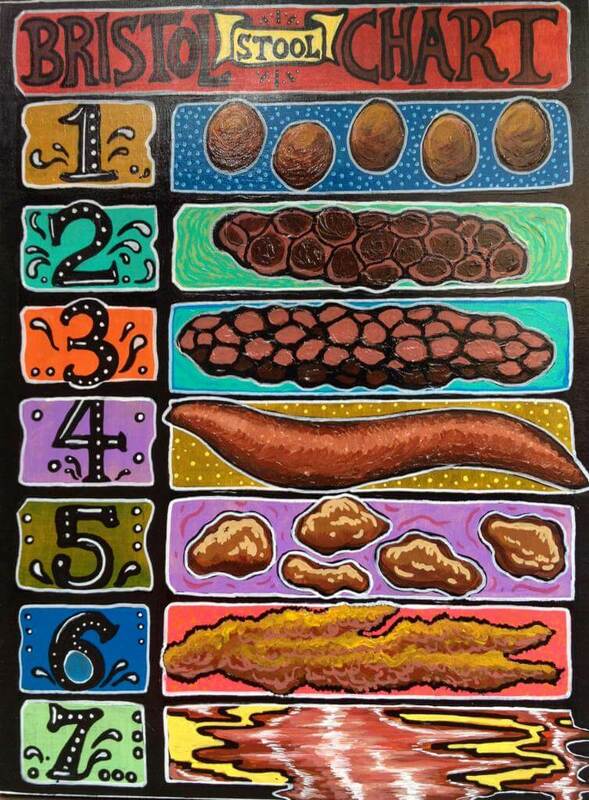 Upon completion of the trial, the Bristol Stool Chart was born as a universal way to track transit time. The chart can be used to help identify gastrointestinal distress or food sensitivities even. 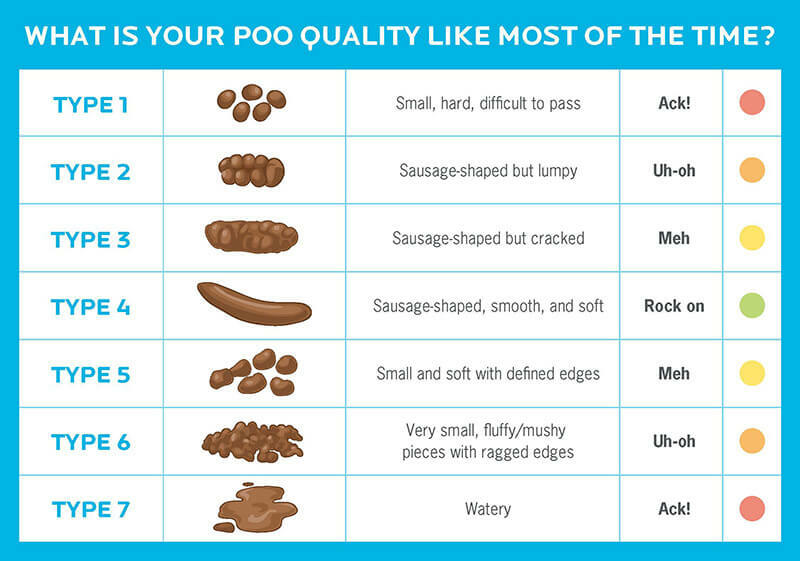 It is a diagnostic medical tool designed to classify the form of human faeces into seven categories. Type “4” is where we all want to be. 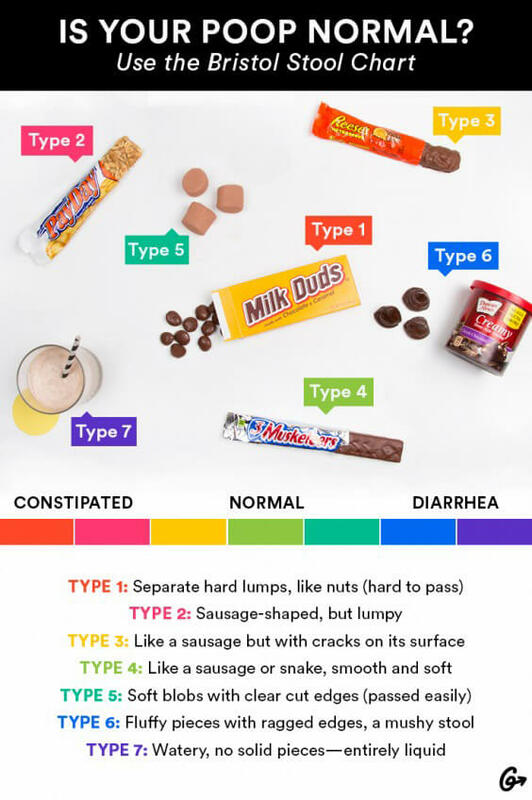 Types 1 – 3 would indicate constipation; 5 – 7 is more on the diarrhea spectrum. 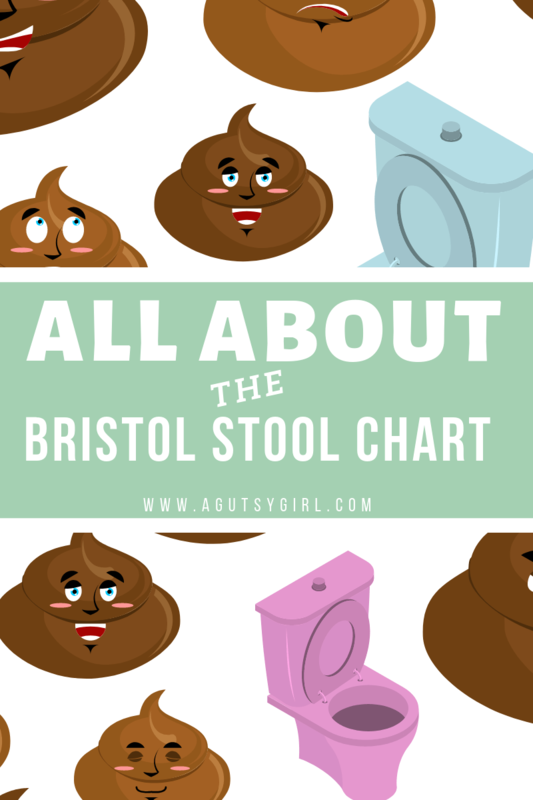 Why Use the Bristol Stool Chart? 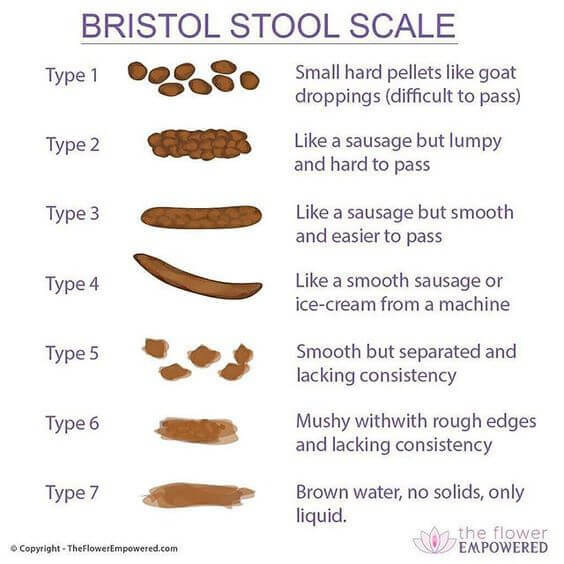 For many people, using the Bristol Stool Chart is purely for personal needs. Keeping track of where you’re at is good practice, no matter your situation. But even though many use it sporadically and more for fun than anything else, it is a tool that doctor’s can also use when trying to figure out an underlying problem. However, if due to any of those factors, a prolonged (negative) change in Bristol Stool Scale number appears, further investigation must be taken into consideration. A Type “4” is where we want to be at or hovering around for most of the time. If you want to get really bold and brave, grab #3 on the Gut Health Wish List. Like you don’t want to study this with your morning cup ‘o Joe each day, right?! Now, if you dare to be brave and bold, let’s share about our numbers below in the comments. No shame. I stay in the range of 2 and 3 unfortunately. That is why I needed to focus on my gut health this year. I am tired of being miserable. I knew I needed to move more and drink more water but the funny thing was when I started exercising more the bowel movements increased and it was more painful than not going. My normal bowel movements are once or twice a week. Of course I will not be deterred and have started with my exercises and dealing with the cramping. 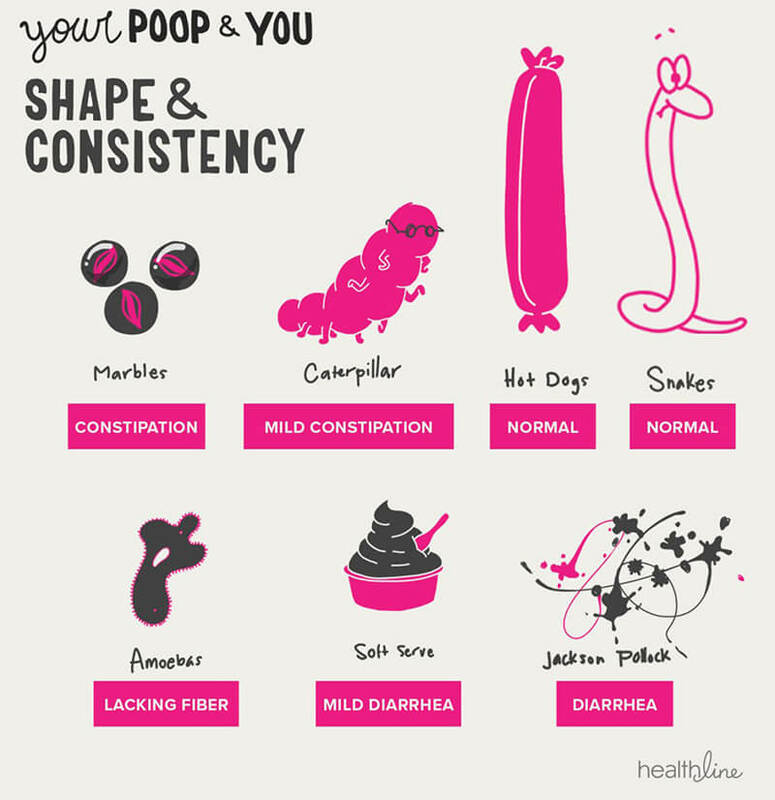 Number 5 is my most common stool, but it looks more like a soft serve swirly pile (like in the “Your Poop and You Shape and Consistency” pictures from Healthline, rather than the little blobs seen in most of the other pictures). It has been like that for several months while being treated for SIBO. I also have celiac and Hashimoto’s thyroiditis. I don’t know how to get them to firm up a little more. I have occassional leakage, but that is getting better. It often makes a mess when I go to the bathroom, requiring lots of wiping and lots of toilet paper. No pain or bloating, just a little gas. My integrative medicine gastroenterologist MD does not seem to be helpful in this. Any suggestions? I’ve been on so many supplements and been trying so many different things. Thanks! Hi! Does your MD seem to think it’s a problem? Just because you’re not at a “4” doesn’t mean there is something wrong necessarily. That said, bulk is usually added with fiber. How much do you eat?